Stephen K. Bannon, who some black leaders called a white supremacist while lobbying against his appointment to the White House staff, today lost his job as President Donald Trump’s chief strategist. President Trump made the comment about Bannon not being a racist after white supremacists marched in Charlottesville, Virginia. It led to violent confrontation between white supremacists and counter protesters. A woman was killed and 19 were injured. The president said the Nazis and their opponents were both to blame for the violence that took place in Charlottesville. His statement caused an uproar and many blamed Trump’s response on Bannon’s influence. 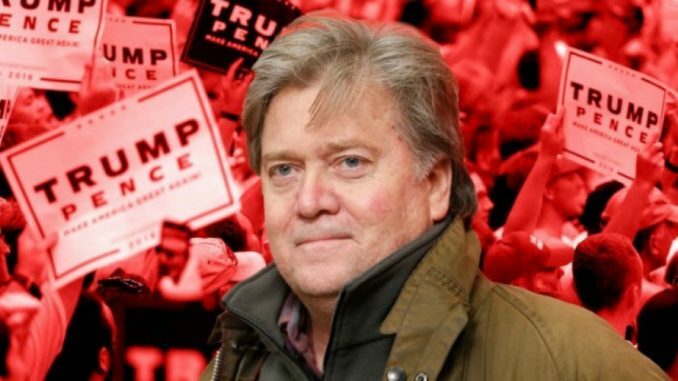 Bannon, the Southern Poverty Law Center said, sees himself as a leader of the Alt-Right movement. Rep. Hakeem Jeffries of New York, a member of the Congressional Black Caucus, said in February that caucus members wanted to meet with President Trump as long as he didn’t include Bannon. Jeffries said on MSNBC last February that Bannon was a stone-cold racist and a white supremacist sympathizer. The White House said Bannon submitted his resignation August 7 but it was to be announced this week.